Despite it being International Hermit & Stitch Weekend I didn't make much progress as I was at work Friday, Sunday and Monday! Face, dress and a lot more flamingo. Where the thread is going off the right is the start of the final column of pages. I have to print them off so I can continue sideways. I don't work in full pages as I don't want lines and ridges in the stitching. 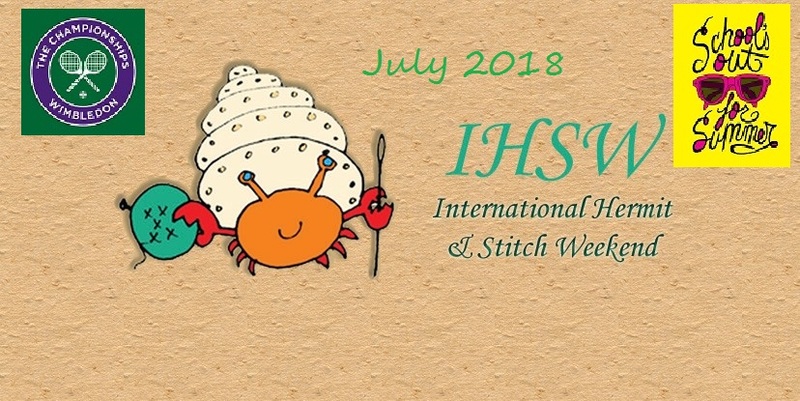 Finally, the next IHSW will be 17th - 19th August so make sure you note the date in your diary or come and join us in the Facebook Group - IHSW on Facebook. If you don't do Facebook then you can check in here or on Joysze's Blog - Random Ramblings. 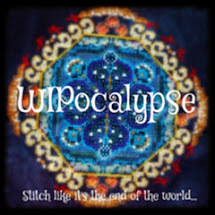 Oh yes, much better with backstitching! He's cute! Alice looks great with a face, bring on the flamingo. 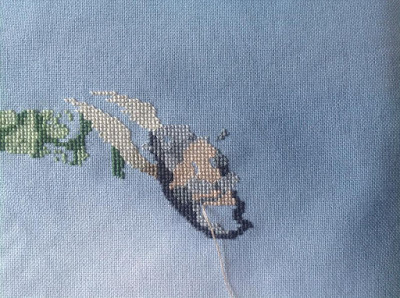 Great progress on your Alice piece! Alice looks quite lovely with that pretty face!! 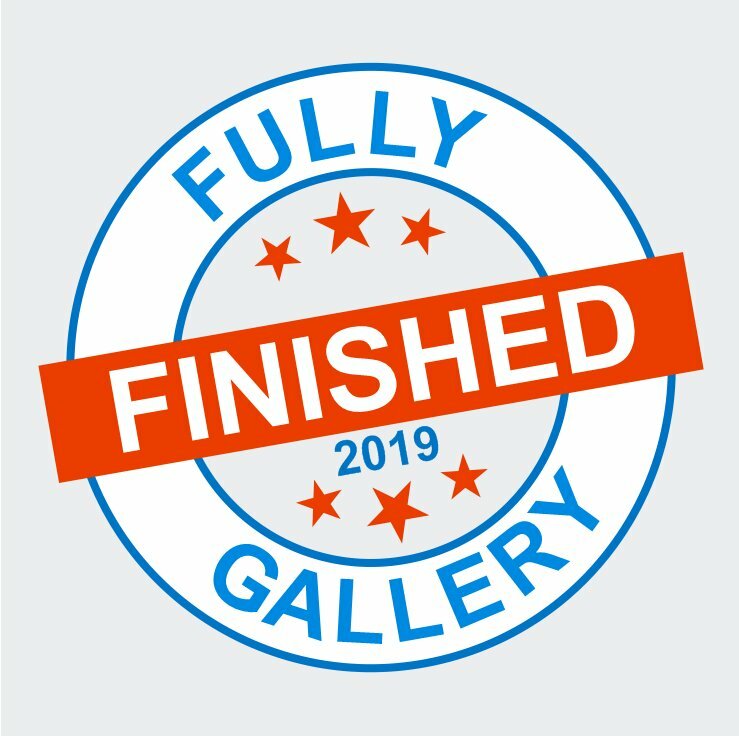 I didn't get enough to even claim progress haha. I just love your adorable hippo!! Alice is looking great too. 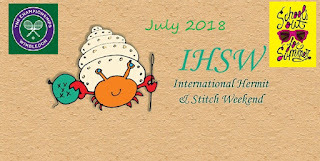 The curse of IHSW again! I always have the busiest weekend when it comes round. Next month will be no exception as we have a family birthday to celebrate on the 17th. Great stitching Jo ,Love Alice. Oh yes, now the hippo can be recognized. It's awesome what you got stitched in spite of having to work. So much work during IHSW can't be fun! You made some nice progress still. Oh yes, nice to see the hippo, and, wow, you got a lot done on Alice! She’s looking sweet! Ugh! 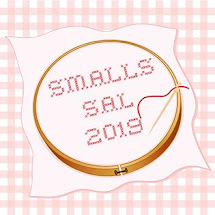 I didn’t realise this was IHSW weekend and only finished making a mini lavender sachet and stitched a little more of my Bee cross stitch kit. 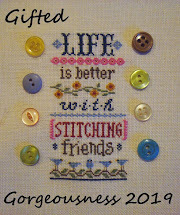 Great progress, you are putting in some stitch’s, even being busy you got in some great stitching. Iunno, I kind of liked all the random guesses, like a smokey snake! I like Alice's bow. Now that I see more of her, she's really quite color coordinated!